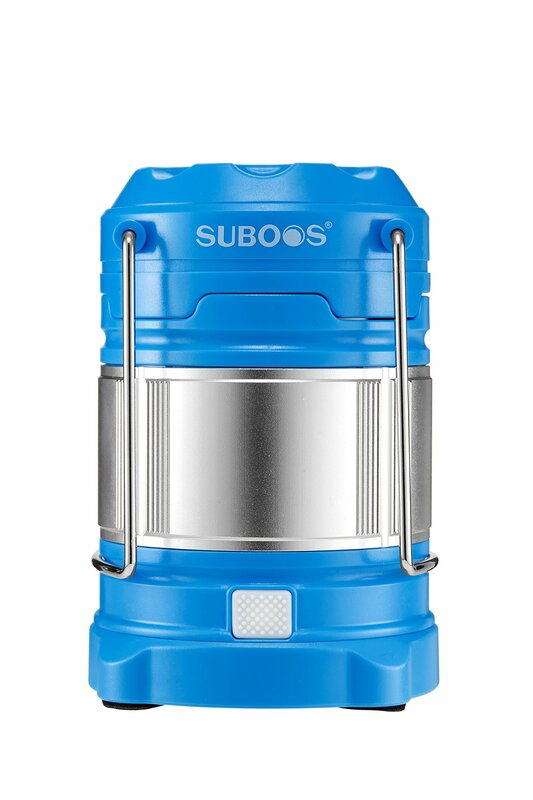 Home › Energy-Efficient LED Lighting › Suboos Ultimate Rechargeable Led Lantern And 5200Mah Usb Power Bank - The Mos..
Suboos Ultimate Rechargeable Led Lantern And 5200Mah Usb Power Bank - The Mos..
100% SATISFACTION GUARANTEE- Your satisfaction is our guarantee, if you aren't happy with your led lantern for ANY reason, let us know and you get your money back, no questions asked! That is how confident we are that you will LOVE your lantern. You are also backed by a 5 year warranty. You spoke, and we listened. This time we have combined the rechargeable LEDlantern with Power Bank into ONE simple cool unit, and it turns out the mostVERSATILE & PROFESSIONAL LED lantern in Amazon. The Unique Dual Power Supply Design The rechargeable lantern comes with 2 power options: 2 lithium-ion battery,each 2600mAh(included) or 3 AA battery (also included), or both power supplyat the same time. So you have the maximum operating time and high flexibilityof batteries. Advanced Collapsed Design By pull/push the top to turn it on/off, no bother to find a button indarkness; Small and Light to fit into your backpack, or put it in your car,workshop, home. Built-in Push Button Dimmer for 4 Light Mode Super Bright: 185 lumens with lighting radius of 65ft, and Last 4.5 hrs; Soft Bright: 60 lumens, Last 9 hrs; Night Vision(Red) : 19 hrs; Red Emergency Flash: 4 Hrs. Built-in Power Bank with Universal USB input/output Port You can use the Both-Way cord(included) to recharge the lantern with USBoutput(wall adapter, laptop, car, etc) or use the lantern to recharge cellphone, tablets with the same cord. Super easy like a breeze. Packing List: 1 x Rechargeable Ultimate LED Camping Lantern Power Bank 2 x Rechargeable Li-on(18650) Batteries, each 2600mAh. 3 x Alkaline AA batteries 1 x Universal Micro-USB & USB Recharging Cable 1 x clip (to facilitate hook hanging) 100% Satisfactory Warranty: 60 days Money Back with ANY reason under ANY condition, 5 years productwarranty covering product material and workmanship.